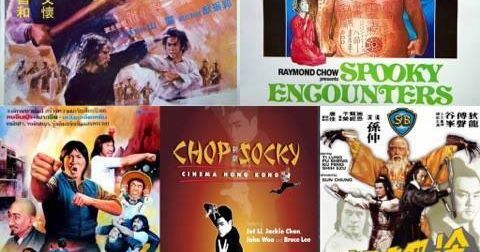 Four classic martial arts movies, BROKEN OATH (1977) Starring Angela Mao, THE AVENGING EAGLE (1978), Starring Ti Lung, THE VICTIM (1980), Starring Sammo Hung and SPOOKY ENCOUNTERS (1980 aka CLOSE ENCOUNTERS OF THE SPOOKY KIND), Also starring Sammo Hung. 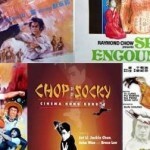 We’ll be kicking off the day with the 2003 documentary CHOP SOCKY: CINEMA HONG KONG. break from 5.45 – 6.30 for dinner. ENCOUNTERS OF THE SPOOKY KIND – 8.15 – 10pm. Doors open at 12.45pm, first film starts 1.15pm. Tickets: £10 for all 5 films, £3 per individual film or two movies for £5! 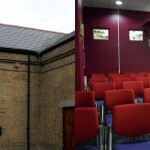 Ample parking, DVD/BDs and merchandise on sale, refreshments.